Warner Bros. Home Entertainment has released a new clip from the Suicide Squad: Hell To Pay animated feature, now available to own on Digital HD. The DC Universe Movie title will also be available for purchase on Ultra HD Blu-ray Combo Pack, Blu-ray Combo Pack and DVD from Warner Bros. Home Entertainment on April 10, 2018. Check out the clip in the player below, followed by a batch of new images. Additional Suicide Squad: Hell To Pay content can be found at The World’s Finest. 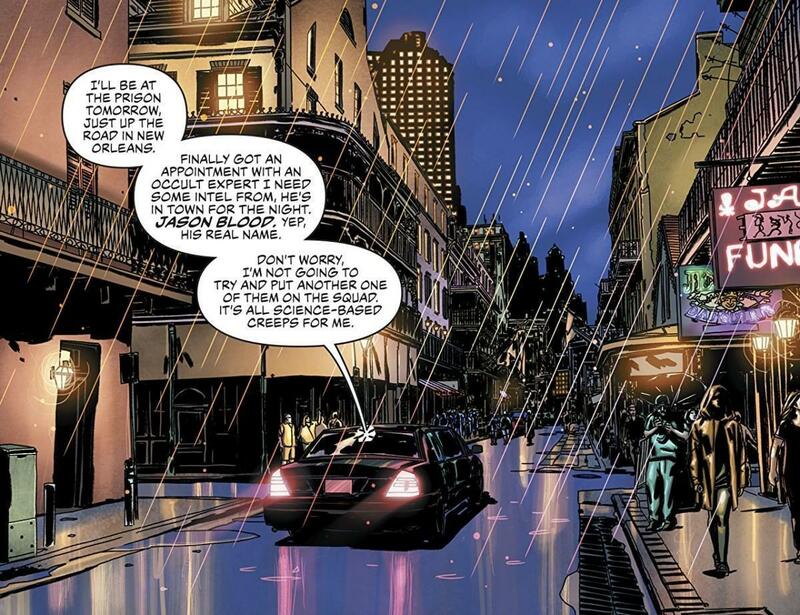 Suicide Squad: Hell to Pay finds Amanda Waller’s top secret “Task Force X” – Deadshot, Bronze Tiger, Killer Frost, Captain Boomerang, Harley Quinn and Copperhead – on a mission to retrieve a mystical object so powerful that they’re willing to risk their own lives to steal it. But the Suicide Squad isn’t the only group of villains seeking to possess the object. The race is on for the golden prize … and, to stay alive, second place isn’t an option. Producer Sam Liu (Gotham by Gaslight, Teen Titans: The Judas Contract) also directs Suicide Squad: Hell to Pay from a script by co-producer Alan Burnett (Justice League vs. Teen Titans). 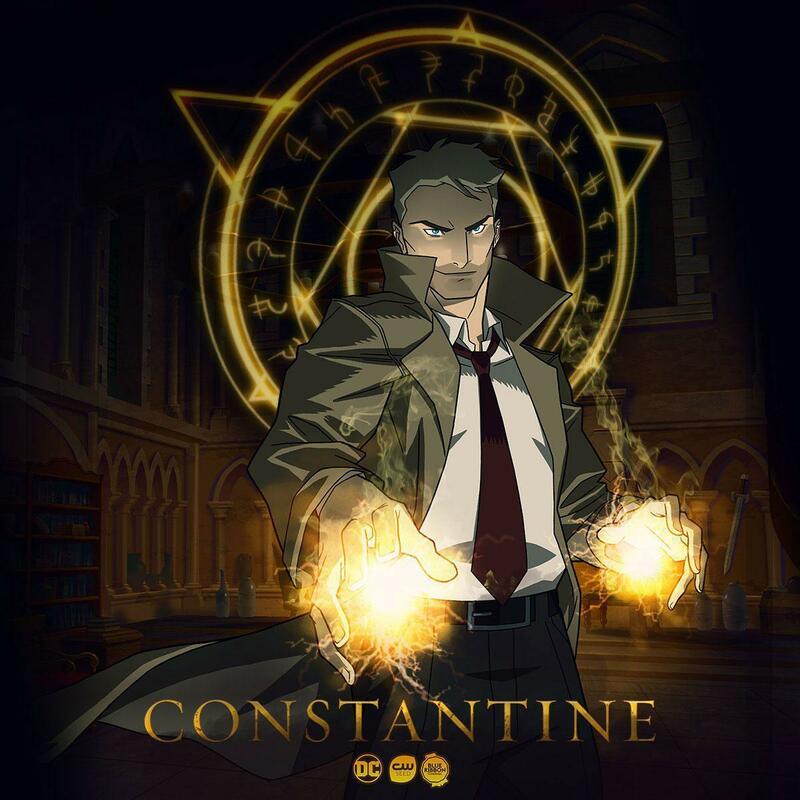 Executive Producers are Sam Register and James Tucker (Batman vs. Two-Face, Justice League Dark). Suicide Squad: Hell To Pay is now available on Digital HD and will hit Ultra HD Blu-ray Combo Pack, Blu-ray Combo Pack and DVD April 10, 2018. Stay tuned for further updates on Suicide Squad: Hell To Pay, including a full review at its dedicated subsite, right here at The World’s Finest and on Twitter. 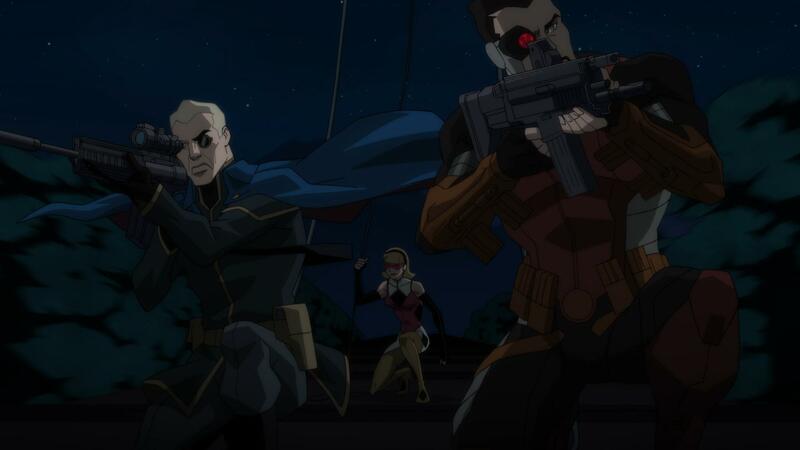 Discuss Suicide Squad: Hell To Pay at The DC Animation Forum! Warner Archive will release Static Shock: The Complete Fourth Season to DVD at the end of April 2018. The two-disc collection brings the fourth season of Static Shock to home video for the first time. Static Shock follows the adventures of teenager Virgil Hawkins as he fights to keep Dakota City safe while juggling responsibilities at home, at school and with friends. Static Shock: The Complete Fourth Season is available to order from Warner Archive starting April 24, 2018 through the Warner Archive website, WB Shop and select digital outlets. Pre-order will also be available. 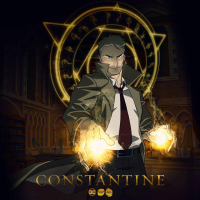 Warner Archive has already released the previous three seasons of the acclaimed animated series. An official press release for the DVD title has yet to be issued, though WB Shop has provided the following details below. Synopsis: Static Shock’s fourth and final season cements Static’s arrival as an A-list super hero, thanks to a Bat-charged flash-forward that sees Static (voiced by Phil Lamarr) bounce from the present-era Bruce Wayne/Batman (voiced by Kevin Conroy) to Batman Beyond’s Terry McGinnis (voiced by Will Friedle) and a glimpse at his own future self. After confronting the future’s incarnation of Kobra (voiced by Lance Henriksen), Virgil returns to Dakota City in the present, where he and Gear (voiced by Jason Marsden) tackle faux Bang Baby wannabe hero She-Bang, assist African hero Anansi and try to take down Static’s idol, Green Lantern (also voiced by Lamarr). It all comes to a head when a cure is discovered for the Bang Babies – a cure that threatens Gear’s and Static’s abilities as well! This collection also includes the Justice League Unlimited two-part episode “The Once and Future Thing,” which follows up on elements from Static Shock‘s time-bending season opener. Warner Bros. Home Entertainment and Warner Archive are expected to release further details on this title in the near future. Static Shock: The Complete Fourth Season is available to order from Warner Archive starting April 24, 2018 through the Warner Archive website, WB Shop and select digital outlets. Pre-order for the title will also be available. For additional details on Static Shock, please check out the Static Shock subsite right here at The World’s Finest. Stay tuned for more coverage on each release here at The World’s Finest and on The World’s Finest Twitter feed. DC Comics is rolling out the digital-first mini-series Suicide Squad: Hell to Pay, a twelve-chapter comic sequel to the upcoming DC Universe Movie animated title of the same name. The first issue of the digital title is available starting March 21, 2018. Press details, along with preview images from the first issue of the DC Comics Suicide Squad: Hell to Pay digital title, are available below. The actual Suicide Squad: Hell to Pay animated movie will hit Digital starting March 27, 2018 and on Ultra HD Blu-ray Combo Pack, Blu-ray Combo Pack and DVD April 10, 2018. Please note the content below may contain spoilers for the Suicide Squad: Hell to Pay animated movie. 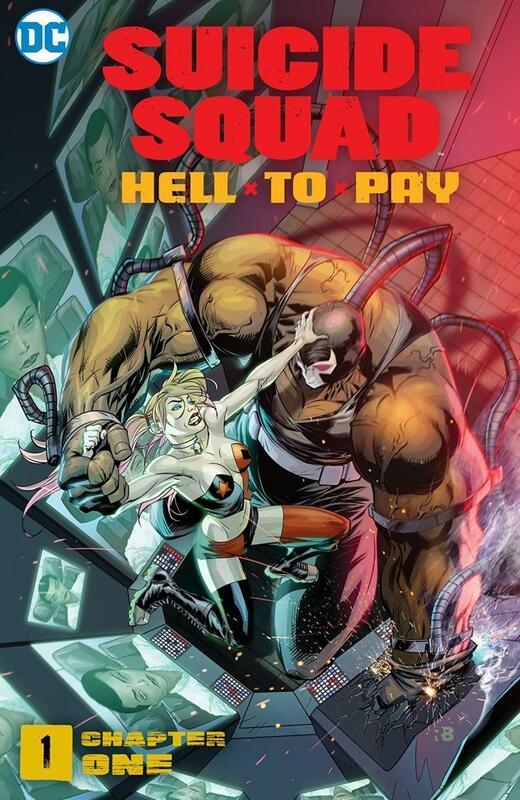 Today [March 21, 2018], DC kicks off a brand-new Digital First series with Suicide Squad: Hell to Pay, a sequel story to the upcoming animated film from Warner Bros. Home Entertainment. 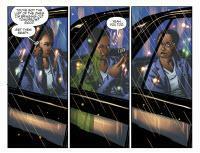 The comic series from writer Jeff Parker (Batman ’66) will follow Amanda Waller as she looks for an escape – from death. The first chapter is available now. 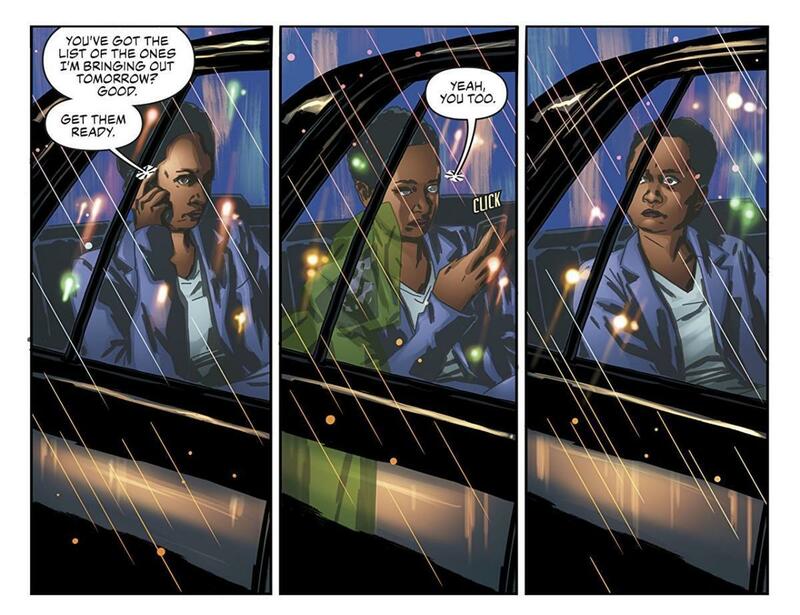 Amanda Waller’s Task Force X has completed another mission­ – and in her opinion, the prize was worth the price they paid. But with the Spectre closing in to take Waller’s soul, she must find a new means of escaping death. 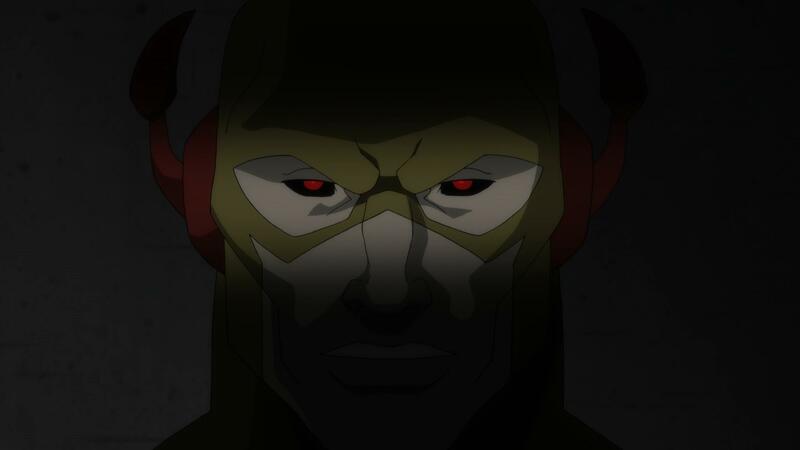 Now looking to Jason Blood as a possible ally, Waller may face a revolt from her own team for this latest addition to the Squad. Is membership in the Suicide Squad really better than imprisonment at Belle Reve? 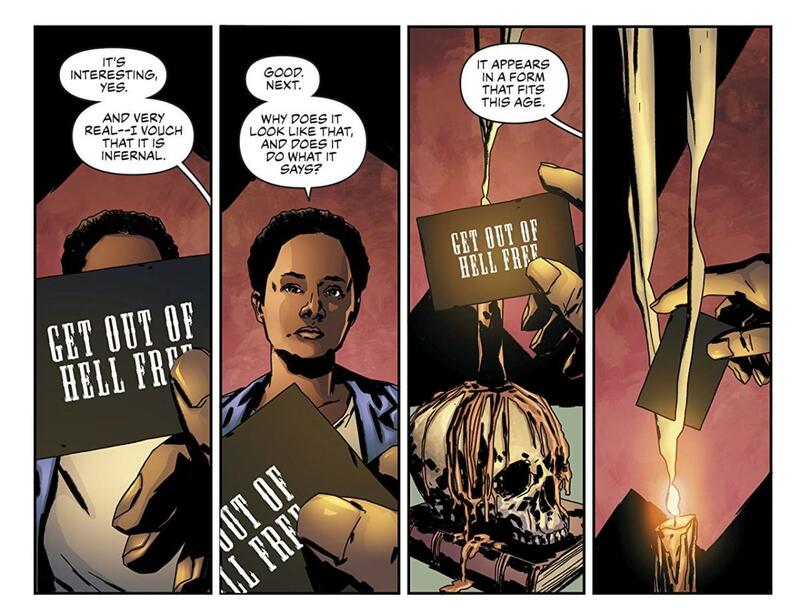 Suicide Squad: Hell to Pay – Chapter 1 is available today across digital platforms. Check it out on ReadDC.com, comiXology.com, Google Play, Amazon Kindle, Barnes & Noble Nook and iTunes. Suicide Squad: Hell to Pay – Chapter 1 is now available at digital outlets, with a print collection of the mini-series coming later in 2018. 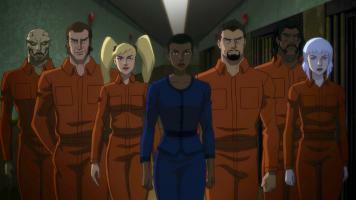 Check out images from the upcoming animated movie at the dedicated Suicide Squad: Hell to Pay subsite. Suicide Squad: Hell to Pay will hit Digital starting March 27, 2018 and on Ultra HD Blu-ray Combo Pack, Blu-ray Combo Pack and DVD April 10, 2018. Stay tuned for further updates on Suicide Squad: Hell to Pay right here at The World’s Finest. 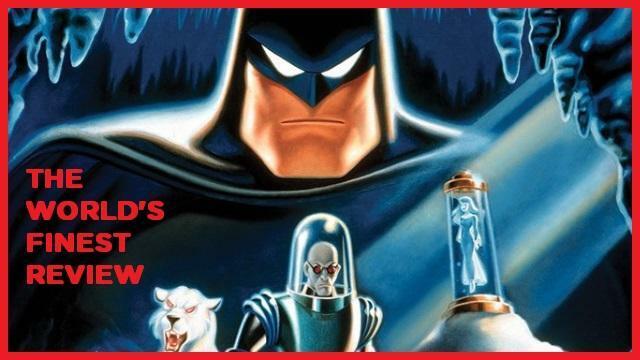 The World’s Finest has published its review of Warner Archive’s Batman & Mr. Freeze: Sub-Zero Blu-ray release, which is now available order directly from Warner Archive, WB Shop and most digital retailers. In short, the new HD remaster of the Batman: The Animated Series spin-off movie looks absolutely stunning. If you want to watch the best possible version of Batman & Mr. Freeze: Sub-Zero available, look no further. To read the entire review, click on the image below. For more Batman: The Animated Series content – including additional reviews, exclusive interviews, production art and so much more – check out the The World’s Finest Batman: The Animated Series subsite. Also, click here to read a four-part 2005 interview with a wealth of creative talent looking at the evolution of Mr. 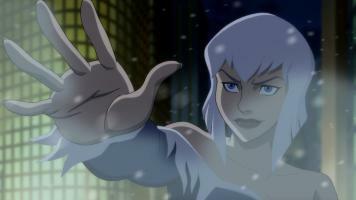 Freeze in the DCAU. A brief 2002 interview with Boyd Kirkland, the late director of Batman & Mr. Freeze: Sub-Zero, is also available at The World’s Finest. Batman & Mr. Freeze: Sub-Zero is now available to order through Warner Archive and the WB Shop, along with other online vendors and some retail outlets. To check out the orginal trailer for Batman & Mr. Freeze: Sub-Zero, click on the player below. Post a comment or click on the link below to share your thoughts on this Blu-ray release. Stay tuned for further reviews and updates in the weeks to come right here at The World’s Finest. Click here to discuss the Batman & Mr. Freeze: Sub-Zero Blu-ray release.